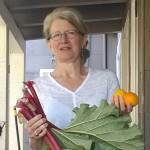 The idea for this dessert has been percolating for a long time. It started months ago when I made Za’atar Cashew Brittle. I knew almost immediately that it should be mixed into honey ice cream. Then I thought, why not swirl in some caramel sauce? Why stop there? 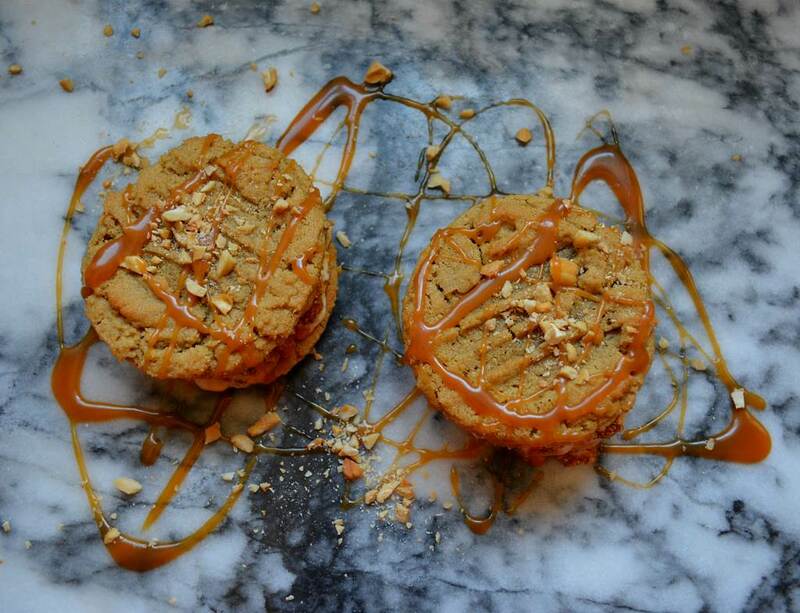 Cashew butter cookies to go along side? Maybe, but they’d be even better as the bookends for an ice cream sandwich! 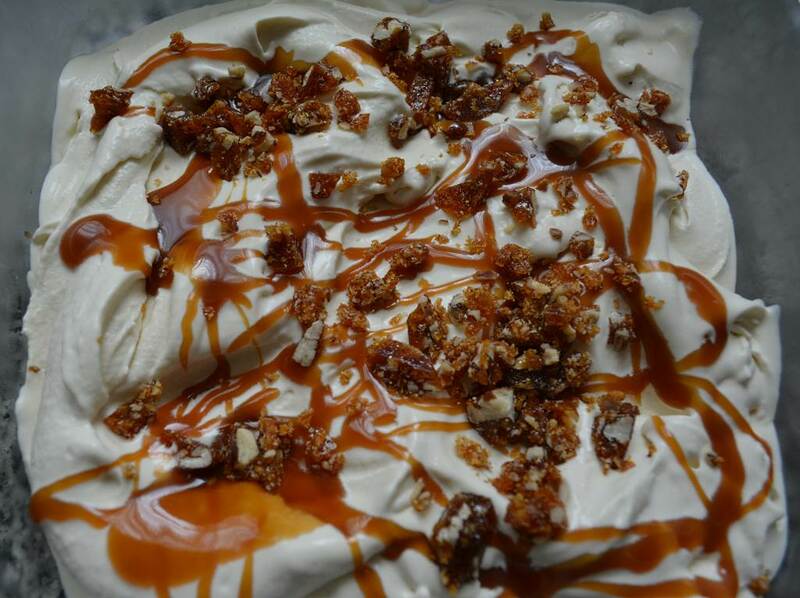 Za’atar Cashew Brittle Honey Ice Cream is a long name, and takes a while to make, but it is worth the time. It has a lot of components, but if it seems too daunting you can eliminate some steps. Instead of making the honey ice cream, you can substitute store bought—even use vanilla ice cream instead. You’ll need to soften the ice cream in the refrigerator for about a half an hour before layering it with the brittle and caramel sauce. You could also leave the caramel sauce out (or use store bought). The cookies and the brittle are the things that don’t have good “ready made” alternatives; the dessert isn’t the same without them. 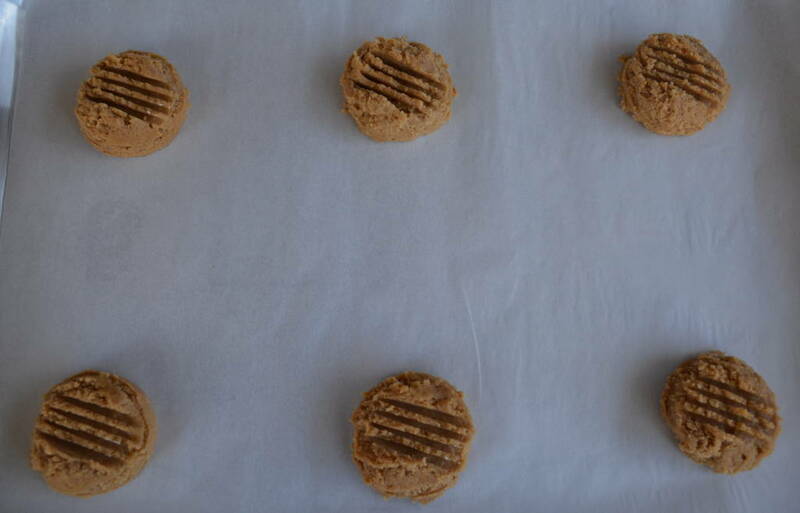 The Cashew Butter cookies have been a staple in my kitchen for years, though I often make them with peanut butter. They are the best I’ve ever eaten, and perfect for an ice cream sandwich because of their soft, chewy texture. Of course I think the whole package is the way to go. Making the components over the course of a few days will make it more manageable. 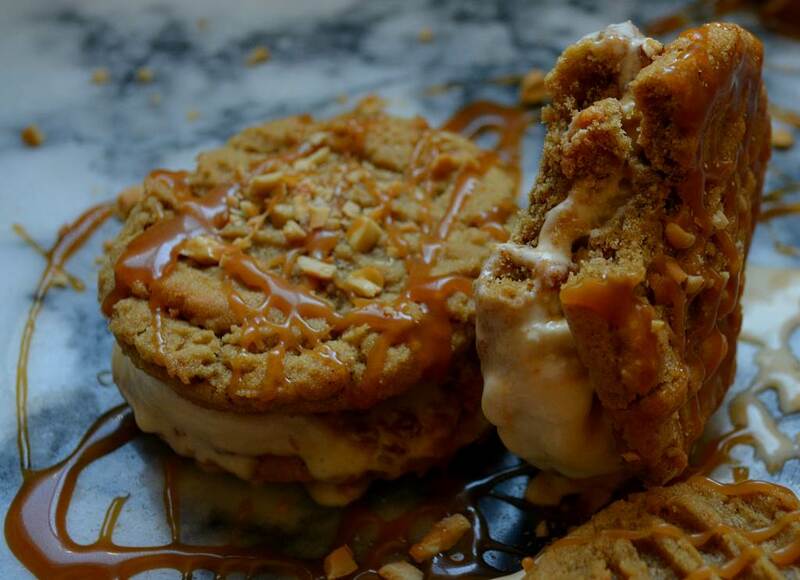 You will use all of the ice cream and brittle, but will probably have some extra cookies. You will have lots of caramel sauce left over, but it keeps well in the fridge, and is great to have on hand for other desserts. I promise you won’t regret having any of the leftover components around! They are darling as bite sized sandwiches, and impressive when made big enough to be served as a full on dessert. I like it best on a plate with more caramel sauce drizzled on top. Makes for messy eating, but that is part of the fun. The assembly line. Work quickly! More caramel sauce can never be wrong. In the bowl of a stand mixer, using the paddle attachment, cream together the butter, sugar, and brown sugar, baking soda, and salt. Add the cashew butter and mix to combine. Add the eggs one at a time, mixing well after each addition, and then add the vanilla extract. Fold in the flour and mix just until combined. Do not overmix. Scoop the dough into 2-inch balls (or whatever size you want) onto a parchment lined baking sheet, spacing them 2 inches apart. Press a fork to flatten slightly. Sprinkle chopped cashews on top if desired. Bake the cookies until firm around the edges but still soft in the center, about 12 minutes depending on size. Don’t over bake. They should be light golden brown around the edges, but still moist in the middle. Cool completely before filling with ice cream. Once the cookies are cool, begin assembling the other components. Spread half of the ice cream into a shallow pan. 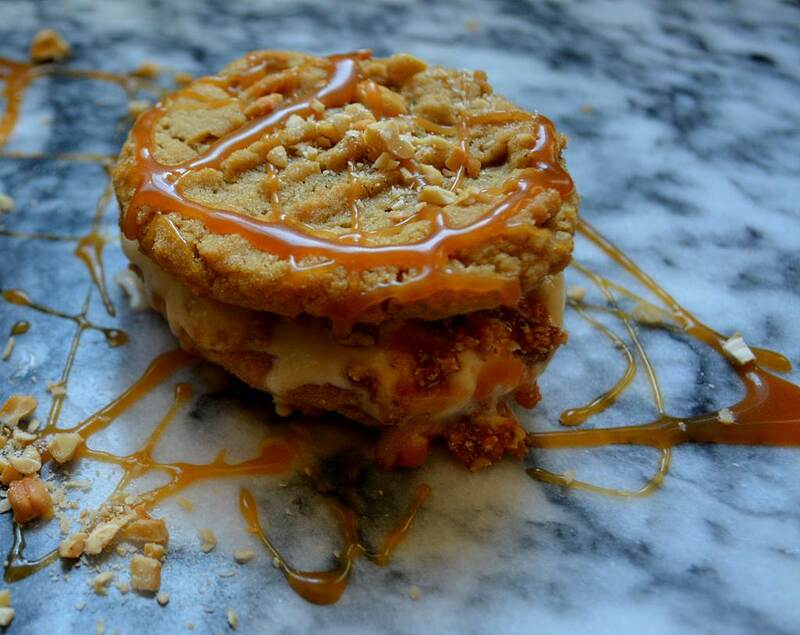 Drizzle caramel sauce over the ice cream. 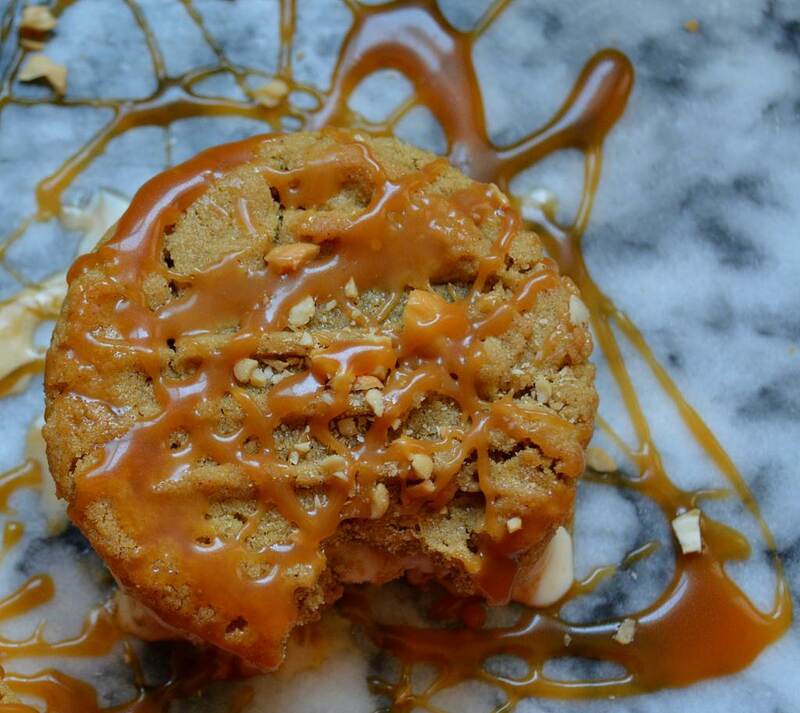 Chop the brittle into small pieces and then sprinkle half of it over the ice cream and caramel sauce. 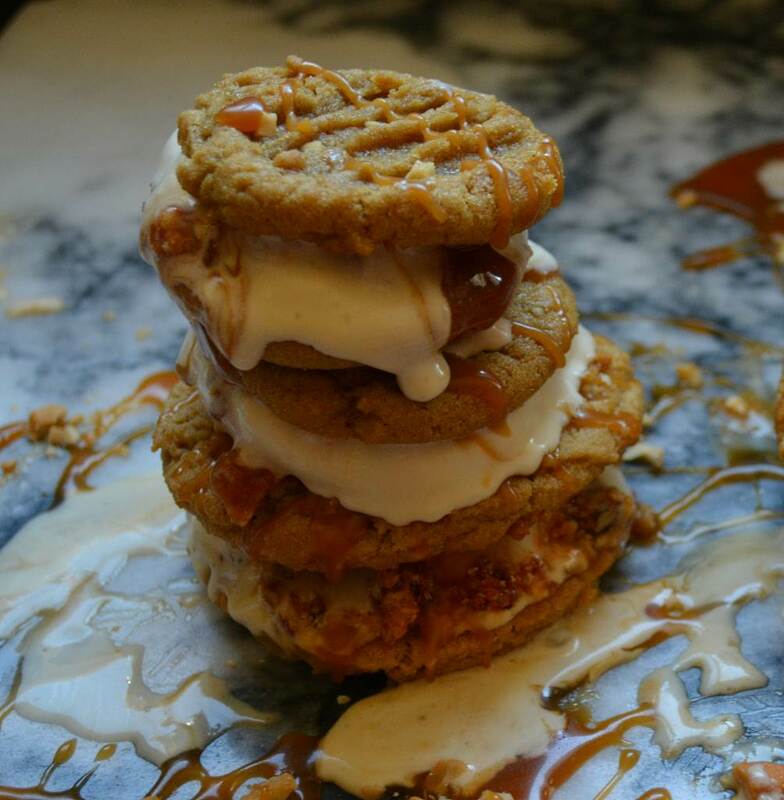 Repeat until all of the ice cream is in the pan, ending with a layer of sauce and brittle. Put the pan into the freezer to get firm enough to scoop (several hours, or overnight). Turn the cookies upside down on your work surface. Organize the cookies so that similar sized cookies are together. 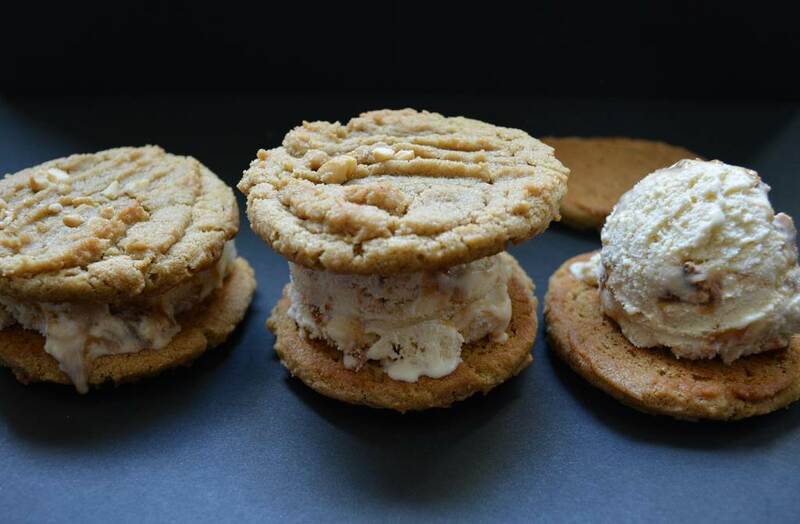 Scoop the ice cream onto half of the cookies. 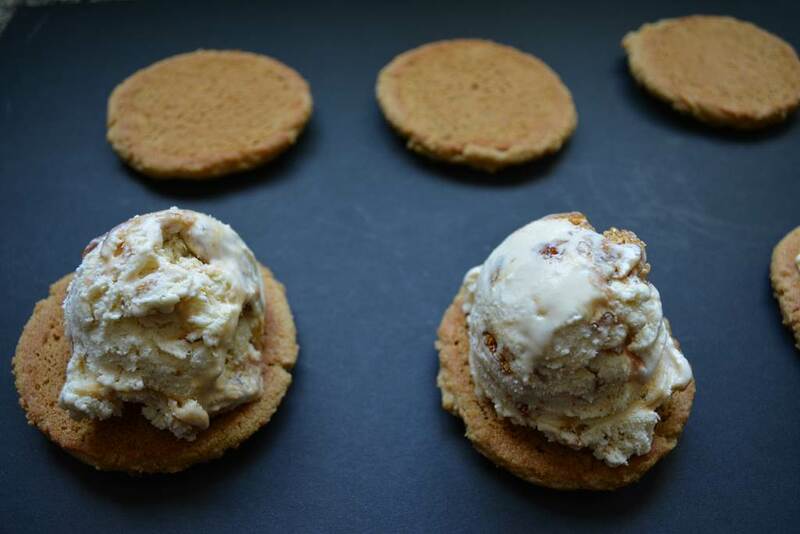 Top the ice cream with another cookie and press down gently on the top cookie to spread the ice cream to edges. Wrap the cookies in waxed paper or plastic wrap and return to the freezer to get very cold and firm. 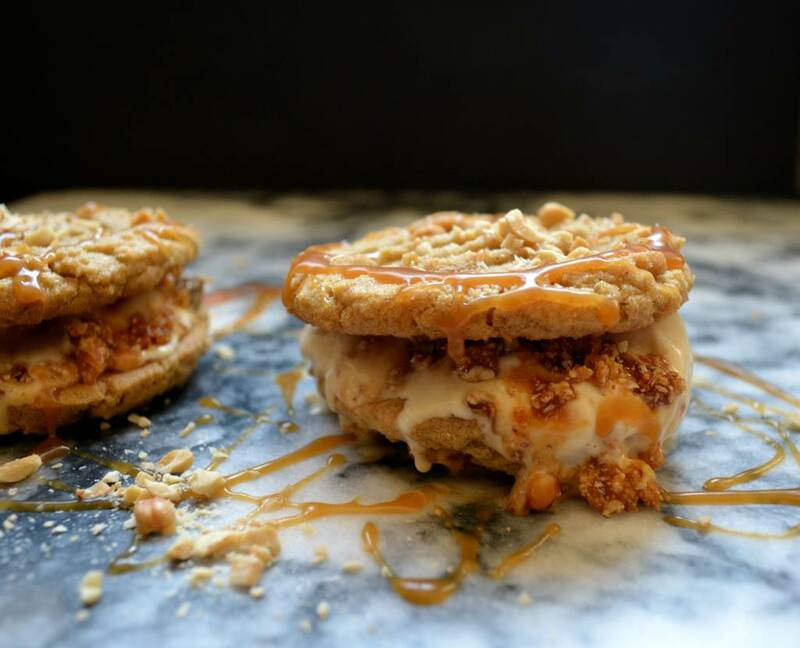 Honey ice cream doesn’t firm up as much as ice cream make with sugar, so eat the sandwiches immediately with or without a drizzle of caramel sauce. Times for this recipe are only for the cookies. The other components have separate prep and cook times. See what happens when you have a kid (of the adult variety) in the room. Sabra, what is your secret?? p.s. Your photos are looking great! Perhaps you’d like to take on a knitting photo shoot one of these days?? I would love to take some pictures of your beautiful knitting! Let me know when you are ready!! Thanks, Es! I think Pablo would really like the honey ice cream. I would be happy to make hummus with you sometime. Is it the garlic that P doesn’t like?